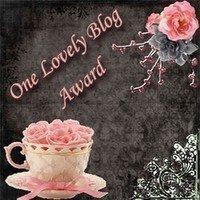 "I always wrote, but never thought of becoming a professional writer until I spent time in the VA hospital at Ft. Miley, San Francisco. I was a manic-depressive, and this was a special ward with intensive therapy. My psychiatrist asked if he could tape our sessions (3 times a week) and I said okay.I described complex feelings and thought processes that I might do better if I skipped OT (Occupational Therapy) and write. So, they gave me an office, typewriter and paper. I started writing, with no purpose, no plan. There was a writer in our small group. He and the staff flipped out over this raw material. The consensus was that I had the makings of a poet. So, after I left the hospital, I made a decision that I would just write and do any kind of work to allow me this freedom. I studied and wrote, and what emerged was poetry. I have never regretted this decision. 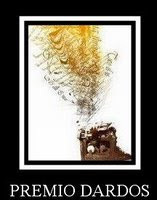 I was about 22 or 23 at the time I began writing poetry. " Jory stated several years back in an interview with the wonderful Western Fiction Review. And become a professional writer he did, penning more than 500 books and over the past decade he has been one of the biggest names in the western genre. Jory took to social media with a vengeance and although had had not unpdated his blog since 2011, due to illness, his Facebook page was updated on a regular basis. Jory died last week after a long illness...our thoughts are with his family. 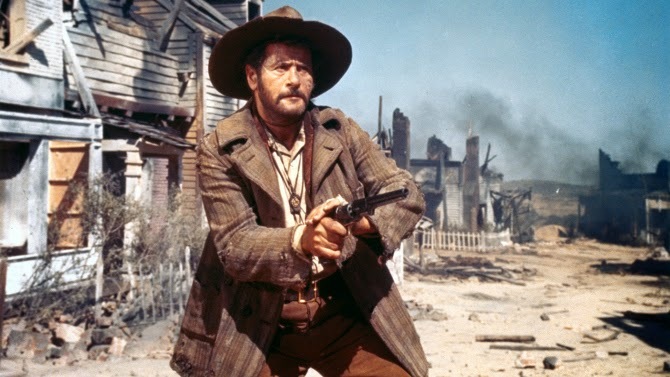 Tuco's gone...Eli Wallach dies age 98. Rest in peace, sir. I re-watched the classic spaghetti western, The Good, the Bad and the Ugly earlier this week and Wallach stole the film from both Eastwood and Van Cleef. He dominated the screen in every scene he was in and today I woke to the news that the actor had died aged 98 - that's quite an innings and although Wallach gave us many iconic roles over the years, including a great turn in the third Godfather movie,he will always be Tuco for me...that character who set the screen alight in arguably the greatest spaghetti western of all time, The Good, the Bad and the Ugly. Throughout the movie he refers to Eastwood's man with no name character, as Blondie and the two actors made an unlikely but superb double act. 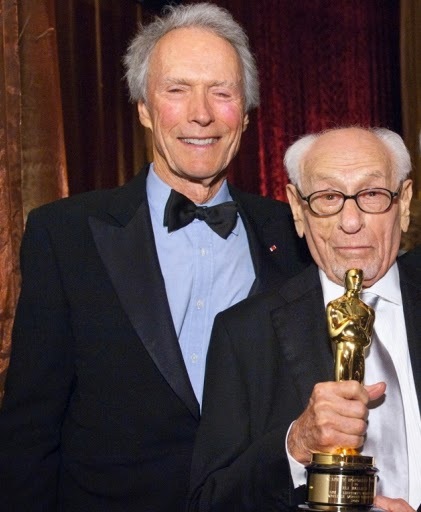 It's is such a pity the two men didn't work together on another western, perhaps reprising the roles they played in Sergio Leone's classic western. Man, that would have been something very special. Rest in Peace, Sir....You will live forever through your many wonderful performances. 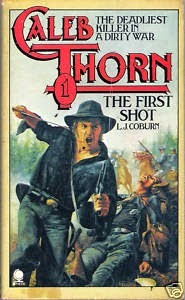 Caleb Thorn is another of the classic long out of print westerns that are being brought back by those wonderful guys at Piccadilly Publishing. The company, who publish all original fiction alongside classics of yesteryear, take their name from a group of mostly British western writers who between them churned out countless series fiction aimed at the red blooded adult reader. During the 70's/80's these writers became known as the Piccadilly Cowboys - reportedly because the furthest West they'd been was Piccadilly. As a teenage reader I used to devour books from these authors and although I remember seeing the Caleb Thorn books (WERE THEY PUBLISHED BY CORGI?) I didn't read them at the time. I was more of a straightforward western fan and I think the Civil War setting would have put me off. My favorite series back then were the Edge books by George G Gilman and even though I bloody loved his books, still do, I wasn't overly keen on the Edge books that used flashbacks to tell a Civil War story. I still read them - I read anything to do with Edge -but they were my least favorites in the series. My brand of westerns were always dominated by the lone gunslinger traveling the West, bedding women, killing bad guys and sucking on a quirly. And besides I've never really felt that civil war set stories are strictly speaking, westerns. I still don't think they are truly westerns but more war stories with settings familiar to readers of true westerns. These days though I've matured and very much enjoy the Edge civil war books and so I thought I'd give Caleb Thorn a try. From the off Caleb Thorn seems a problematic read for the modern tastes - one early scene of a black slave being whipped on a Southern plantation seems gratuitous. I can see the point of the scene because later the cruel woman who watches over, indeed is responsible for, the whipping is drowned by a slave who hates her with all his heart, but it's not the same slave as suffered the whipping and far too much detail goes into the punishment. The character of Caleb Thorn is also not really likeable, in fact he comes across as an arrogant, mother obsessed, little rich boy. He's also psychotic - think Norman Bates with a six gun or maybe Tom Powers with a little less personality. Some scenes are deeply uncomfortable and suggest a relationship between Caleb and his mother that is almost sexual. However that said the story is compelling and even although I found myself often wincing during the early stages of the story I did keep the pages turning. Of course at the end of the day this is an high concept adult story - it's basically the Dirty Dozen transported to the Civil War and then pumped up on steroids. There's nothing wrong with that and indeed this is, with minor niggles, a very well written and compelling read. By the end of the book Caleb Thorn does seem a different man and I'll certainly be reading the next in the series - in fact I've downloaded it a moment ago. 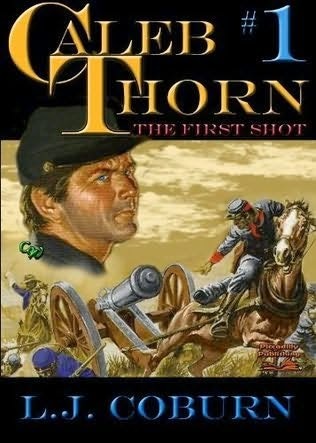 A strong point of the book is the way the events take place alongside actual historical events - there's a terrific scene at the Battle of Bull Run and later when Caleb and his band of misfits go on a dangerous mission to destroy a bridge behind enemy lives, the atmosphere is tangible. Top marks then to this book, but readers should be warned that if you are not familiar with this style of book, which were all the rage in less politically correct times, then you may find some of it, specifically the early chapters, hard going but stick with it because the book is written by a storyteller of great skill and there's a bloody enjoyable read here. It's also pretty authentic in its depiction of key civil war events. It's a book for red blooded, meat eating, chain smoking, whiskey chugging, males or simply those unconcerned with political correctness and can accept a story for what it is - a brilliantly constructed entertainment with adult themes. 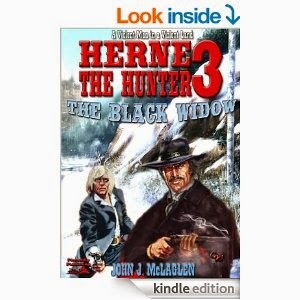 Herne the Hunter 3 can be found HERE in an all new eBook edition. 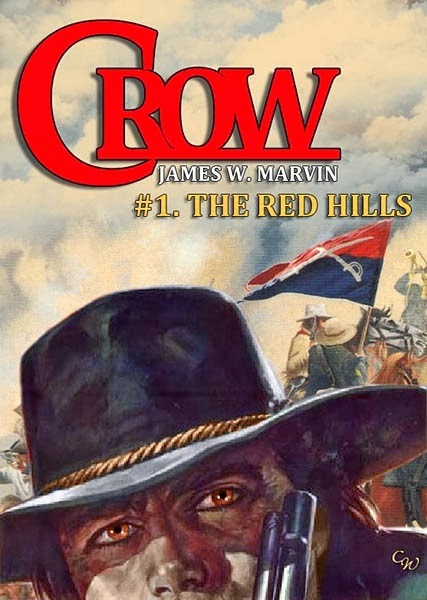 This was the third book in the western series that eventually ran to 24 novels between 1976 and 1984. 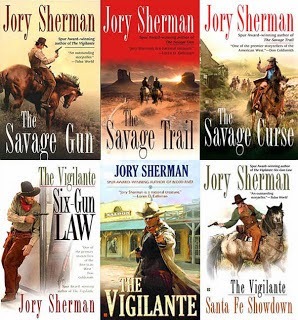 These series was a part of the boom in paperback westerns that was kicked off by the incredible success of George G Gilman's Edge series. 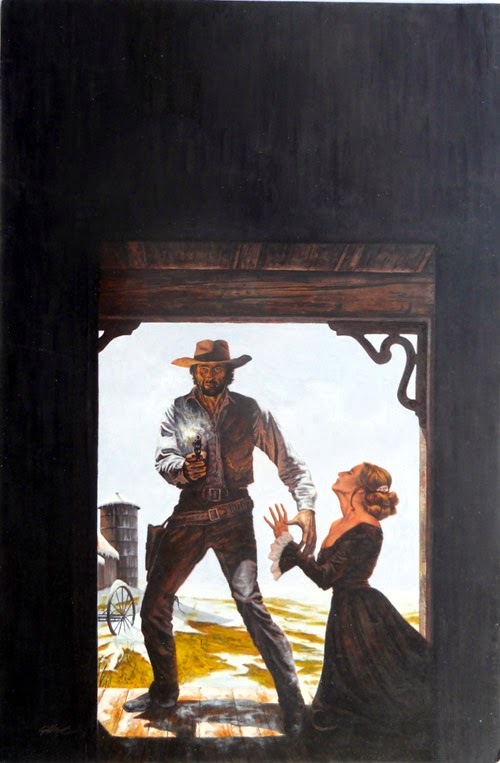 All of the books were very much influenced by the spaghetti western movies and followed a similar stylistic approach. Herne book 3 completes the original storyline that first set Herne off on the vengeance trail. When we first met Herne he was a peaceable man who only turned back to his guns when his wife killed herself, after being brutally raped and beaten by several men. Herne then took off after these men and three books later he finally puts the last of these men in the grave. It's been great fun getting to this point, and at then end of this book Herne's future is left uncertain. The character has certainly developed over the three novels. The climax of this book, although brutal, does leave the character for some hopes of a future without violence, perhaps settling down with Becky, the daughter of a friend who has been with him throughout his long walk down the vengeance trail. I really enjoyed this book and felt that it had just the right balance of the believable and the downright ridiculous. Some sections of the book are positively gothic - the Black Widow character of the title, although not fully explored, means that the story is often moving away from Sergio Leone and towards Dario Argento. There are some truly perverse scenes in the book, but all the time the story is truly compelling and keeps the reader turning the electronic pages. A snowy setting is used, a nod to Corbucci's classic spaghetti western, The Great Silence and the character of Whitey is obviously a borrow of Loco, the albino character played so effectively in Corbucci's movie by creepy old Klaus Kinski. In the book the character of Whitey is a strong point because it allows for the Herne character to regain some of the humanity lost in the previous two books. Initially Whitey is out to get Herne, but they end up working together to defeat an altogether greater enemy. I also enjoyed the development of the Becky character in this book and it is unclear of how her relationship with Herne will develop over the next few books. Herne's initial feelings for her seem paternal but there are hints in this book that their relationship may become romantic. If there is one weak point in the story it is with the Black Widow character herself, - she is built up really well but her full potential is not fully realized. She does come to a suitable end but I found her to be such an interesting character that I expected so much more from her. Still minor niggles...a great read. 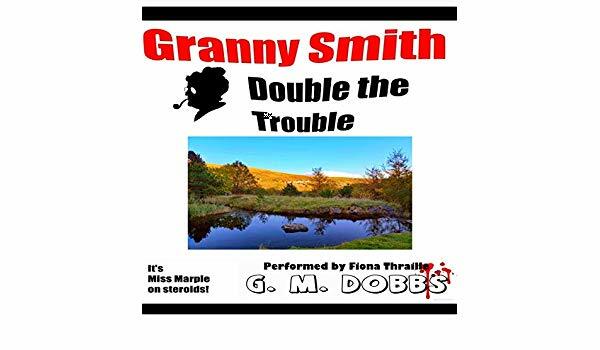 The Herne series has been out of print for many years but thanks to the excellent digital publishing house Piccadilly Publishing the books, as well as other excellent titles, are getting a new life on eBook. Check out Piccadilly HERE. Piccadilly Publishing are taking over the western eBook charts and author, Paul Bishop gives us the first part of an interview with David Whithead AKA Ben Bridges HERE. Check it out folks - the guys at Piccadilly are not only bringing classic westerns back into print, but also issuing all original material in several genres. Clint Eastwood, 35 Films Box Set. I've got to say I agree with Mr Eastwood and in many ways Josey Wales is a superior movie to The Unforgiven - mind you, both are excellent. The brief introduction filmed by for this DVD release is available via the special features menu as well as being present just before the start of the movie. The movie itself is surprisingly gentle on times, even whimsical and the vintage documentary - Clint Eastwood: Man of Action takes us behind the scenes of the making of the movie but emphasizes the action element of the movie. There is, of course, plenty of violent action but some of the most successful scenes concentrate on the pathos of the character and the multidimensional story told here. Nevertheless this documentary from 1976 gives us some great behind the scenes footage, but being intended as a publicity feature to promote the movie it concentrates more on the great action that will soon wow cinema audiences. There is a second documentary that gives a far better insight into the movie and the themes behind it. This documentary is a contemporary production and Eastwood is interviewed several times throughout the fascinating piece. The special features are rounded off with the original theatrical trailer. All things considered the edition of Josey Wales in the Clint Eastwood Box Set is worthy of the movie. The special features, particularly the two documentaries are essential for fans of the movie. 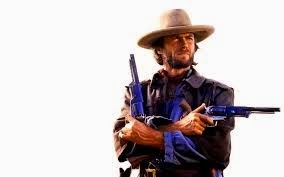 Regarding Eastwood's westerns, I think I'd place Josey Wales among the top, it would certainly be in the top five. For many people it is their favourite Eastwood western, but I've always placed the Eastwood/Leone classic, The Good, The Bad and the Ugly (not a part of this box set) in the NO1 spot of Eastwood westerns. Picking second place would be tough - should it be The Unforgiven? High Plains Drifter? Josey Wales? Pale Rider, even? You could also make arguments for Hang em High and Two Mules for Sister Sarah - well maybe not Sister Sarah, but it just goes to show that even Eastwood's weak westerns (and there are only two of these) are better than many westerns from other big names stars. Eastwood has made so many great westerns that rating them against each other is futile, and all of them need to be seen. In terms of iconic western stars, Eastwood is second only to the Duke himself, and some would argue that Eastwood is even more important in the development of the genre. Eastwood certainly gave us a new kind of western hero - starting off with his Man with No Name persons from the Italian oaters that made him a superstar, and refining that characters with his later American westerns. 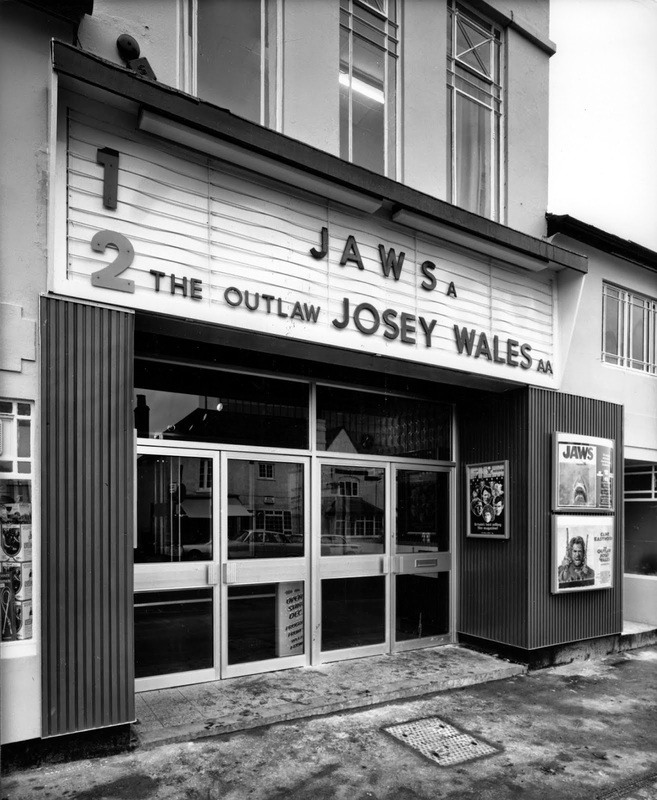 Josey Wales owes quite a lot to the Man with No Name but Wales is a much more rounded, well realized character. The Man with No Name is all style and although a brilliant creation, Wales is much more of a real man and his motivations are very clearly defined in this grim and dirty western that remains a true cinema classic. "I'm bewildered by the anti-Amazon animus among various establishment writers. James Patterson pays for full-page ads in the New York Times and Publishers Weekly, demanding that the US government intervene and do something (it's never clear what) about Amazon. 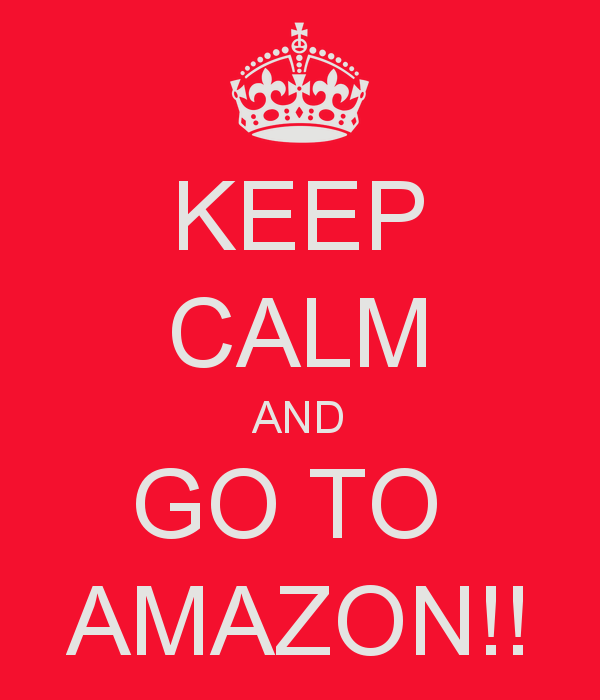 Richard Russo tries to frighten authors over Amazon's "scorched-earth capitalism". Scott Turow conjures images of the "nightmarish" future that Amazon, "the Darth Vader of the literary world", has in store for us all. And "Authors Guild" president Roxana Robinson says Amazon is like "Tony Soprano" and "thuggish". Wrote author, Barry Eisler in a piece for the Guardian Newspaper. Eisler made an interesting point when he wrote - "These are strange things to say about a company that sells more books than anyone. That singlehandedly created a market for digital books, now the greatest source of the legacy publishing industry's profitability (though of course legacy publishers are sharing little of that newfound wealth with their authors). That built the world's first viable mass-market self-publishing platform, a platform that has enabled thousands of new authors to make a living from their writing for the first time in their lives. And that pays self-published authors something like five times as much in digital royalties as legacy publishers do." Eisler's article, the full text of which can be read HERE, makes a very good argument in Amazon's favour. Likewise the always outspoken Joe Konrath has leapt to Amazon's defense (no surprise there) with several pieces on his own blog, The Newbies Guide to Publishing. Again Konrath makes some good points but personally I find Konrath a bit too vitriolic - he comes across as having an axe to grind with traditional publishing. I mean don't get me wrong because I think Amazon is a fine company who have delivered many positives for writers but you do get the feeling that if Amazon did suddenly turn into vile inhuman baby killers then Konrath would still defend them. Though I do agree with Mr Konrath's point that author, James Patterson is merely attacking Amazon because he makes oodles of money from traditional publishing and wants to maintain the status quo. Though in fairness the same can be said for Konrath's defence of Amazon since he has made a pretty good sum from his own self published Amazon titles....Mr Konrath tells us this often enough. The dispute is set to continue for some time yet, but I can't help feeling that if Amazon are indeed evil then traditional publishers are not exactly whiter than white. The row between online giant , Amazon and US publisher Hatchette has now become an all out war - this weekend the UK newspaper, The Independent reported that, - "For years, publishers in Britain and America have complained privately about the online giant’s tough negotiating tactics and relentless discounting, but few have been willing to speak out. 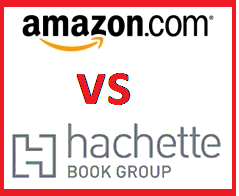 However, the decision by Hachette, one of the “Big Five” publishers, to refuse to agree to a new contract with Amazon in America in a row about pricing could be a seminal moment." The negative press could actually harm Amazon in the eyes of book lovers, and for once Amazon are being seen by book buyers, their all important customers, as being a negative rather than positive force. Hachette has gone public after customers began asking why some of its books have been unavailable to buy on Amazon. Other titles are being offered at full price, instead of on discount, or are taking many weeks to ship. Authors are livid. US TV chat show host (and Hachette author) Stephen Colbert is so angry that he “gave the finger” twice to Amazon chief executive Jeff Bezos on his TV show this week. Meanwhile, James Patterson published a post on Facebook under the headline of “Read four of the most important paragraphs I’ll ever write,” in which the author declared: “The press doesn’t seem to consider this newsworthy, but there is a war going on between Amazon and book publishers. “This war involves money of course... Currently, Amazon is making it difficult to order many books from Little, Brown and Grand Central, which affects readers of authors such as Malcolm Gladwell, Nicholas Sparks, Michael Connelly, me and hundreds of others whose living depends on book sales. Hatchette publish over 1,000 books a year and are actually made up of several imprints including Orbit, Little Brown and Hyperion. They publish many big name writers like James Patterson, Ian Rankin, Jeffrey Deaver and J K Rowling. Amazon are the world's biggest book sellers but they also sell toothpaste and everything else. They have also done many positive things for the publishing world by effectively creating a new publishing model with their KDP Select system which allows writers to take more control of their work. What is the dispute about? Neither side are disclosing the details, but it is believed to be over eBook pricing. There is a larger issue here and critics of Amazon claim that the company is trying to destroy the traditional publishing industry, while supporters of Amazon believe Amazon are acting in the best interests of writers and customers. What are the dirty tricks Amazon are supposed to be using? Amazon have removed the pre-order button from Hatchette titles. Also Hatchette titles that were on next day delivery now take 5-6 weeks to ship. The result of this is that Hatchette will sell fewer books. What do Amazon say about this? They have told customers to go elsewhere for Hachette titles. Amazon have also said that Hatchette are one of 70,000 suppliers they work with and have so far been unable to reach aggreement on the pricing of titles. 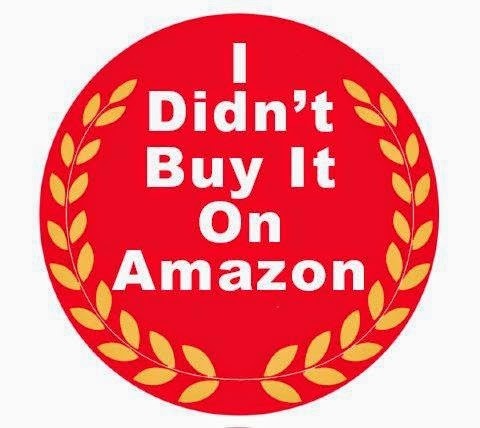 Yes, James Patterson recently claimed that Amazon are trying to control shopping in this country (America). They are creating a monopoly. While Malcolm Gladwell called the situation, heartbreaking. It's a sad state of affairs indeed, and although I am a big fan of Amazon I do feel that the company are being heavy handed here. The online super company are now so big that they may be untouchable and even although Hatchette are not small potatoes there is something of a David and Goliath element to this battle. The Author's Guild have accused Amazon of bullying but Amazon have responded by saying that critics of their actions are small minded. The row is mostly affecting US customers but it has echoes of Hachette UK’s battle with Amazon in 2008, which resulted in Amazon removing the buy-button from a number of its titles. This time around Amazon appears to be telling its customers that there is limited availability of some Hachette USA titles. And In the UK some publishers have complained about a toughening up of Amazon’s contracts over the past six months, but so far there has been no open disagreement. Let's hope the problem resolves itself soon. 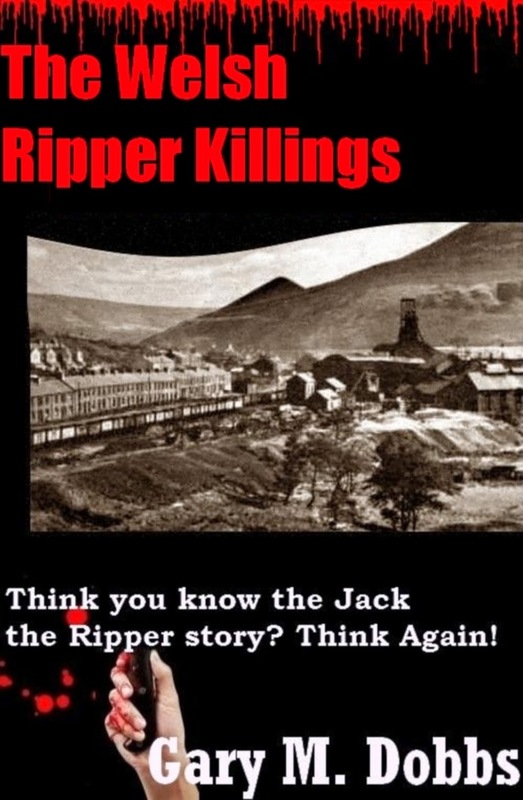 Originally titled, A Policeman's lot and published by Solstice, The Welsh Ripper Killings is now available as a low priced eBook from Amazon and other suppliers. Extract from the publisher’s original reader report: A Policeman’s Lot, by Gary Dobbs. Murder mystery. 56K words. Fascinating concept, setting, and characters. 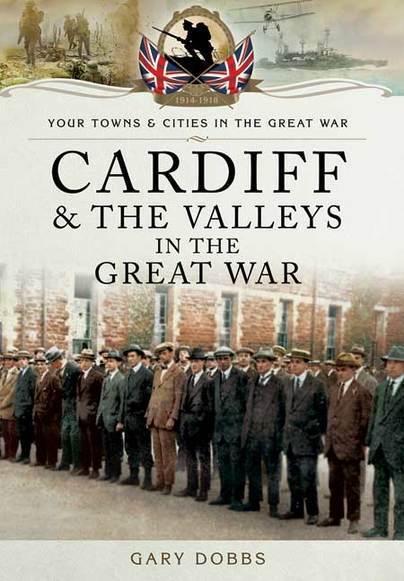 Set in Wales during Buffalo Bill’s 1903/1904 tour of the United Kingdom, the story begins with Inspector Frank Parade carrying out his daily duties in the town of Pontypridd, duties complicated by the unprecedented presence of 500 members of Buffalo Bill Cody’s Wild West Show encamped outside the town, not to mention the thousands attending the show every day. A series of depraved murders quickly makes things even more complicated. Buffalo Bill stands squarely in his path when Parade tries to investigate the likely possibility that one of the hundreds of show members is involved. And soon enough Parade’s own superiors are blocking his inquires, too. Still more deaths occur as Parade sifts through the thin evidence available and finds a trail that may lead to the perpetrator of the most heinous crime of the 19th Century—London’s “Ripper” murders. Before the story is done, Parade develops a dramatic theory that may solve the Ripper mystery, as well as the murders he faces in idyllic Pontypridd. The story itself is wonderful—clever and intense. Note from Gary M. Dobbs – The Jack the Ripper killings of Victorian London still fascinate us to this day. The killer was never captured and his/her identity remains a mystery. Whilst researching for A Policeman’s Lot I came across a bizarre link to the final canonical killing (Note there are officially five killings attributed to the Ripper and these are known as the canonical five but there are theories that there may have actually been between 9 and 15 killings.) 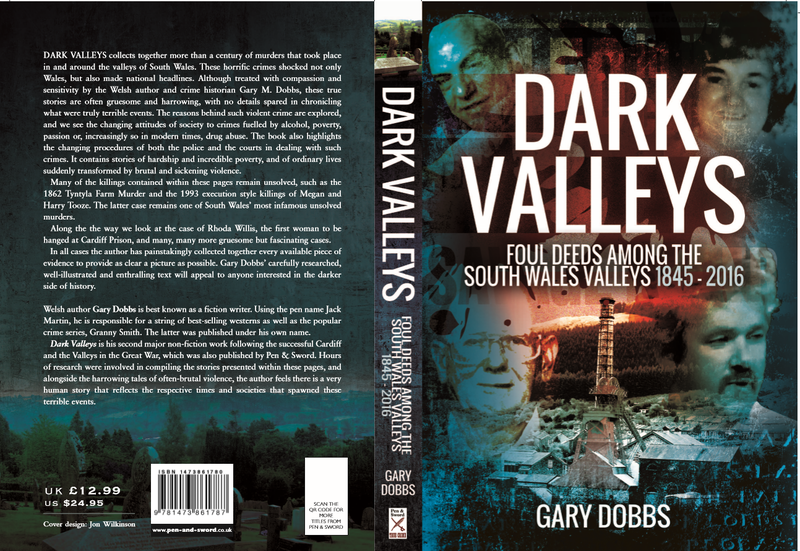 which placed Mary Kelly, the final victim, in South Wales in the years before moving to London. Indeed the deeper I researched the more convinced I became that it wasn’t actually Mary Kelly found dead on that bed in Spittlefields, Whitechapel but someone else. This forms the basis for A Policeman’s Lot. Does A Policeman’s Lot finally solve the mystery? Well it’s fiction, not intended to be factual but I do believe that it throws up a further mystery – who was the woman the police identified as Mary Kelly. The body was so hideously mutilated that she was only identified by her earlobes, and then by a casual boyfriend. There were several sightings of Mary Kelly after she was supposedly dead but the police discounted these. Indeed it was the view of the chief police officer on the case that the killer escaped wearing Mary Kelly’s clothes and that this was the person people saw and mistook for Mary Kelly. This summer Solstice Publishing presents, A Policeman’s Lot, in all major eBook formats. EBooks are currently revitalising the publishing industry and creating a revolution in the way we read. A word from Kelly Abell, Editor in Chief Solstice - Solstice Publishing by its very name means “turning point” and they provide excellent quality fiction in both ebook and print book formats. Solstice is proud to add A Policeman’s Lot to its collection of quality books and adds it to Solstice Secrets, its murder/mystery book shelf. 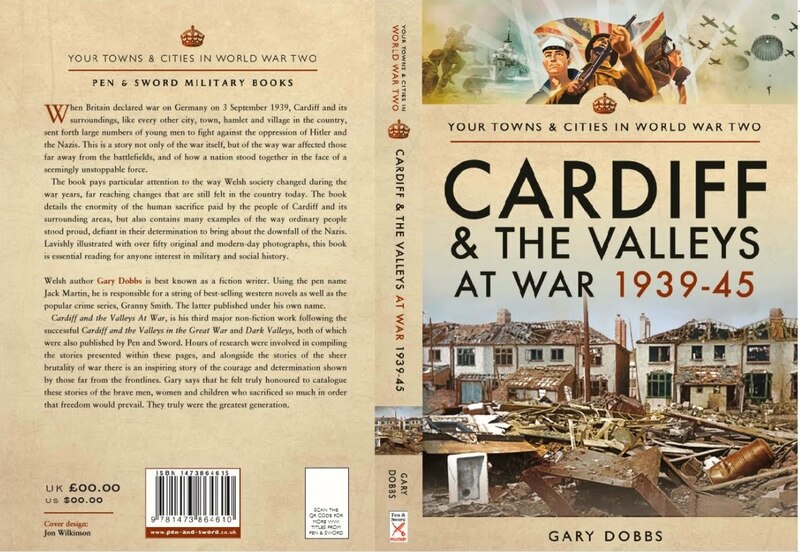 Stop by and visit to pick up your copy of Gary’s fascinating book A Policeman’s Lot and browse the other exciting titles.